'Amiibo' and 'Majora’s Mask' take the stage. Nintendo delivered a wealth of news for both the Wii U and the 3DS. With this year winding down, Nintendo decided to have a Nintendo Direct focusing on the rest of this year’s releases, as well as some huge announcements for 2015. The first and biggest piece of news was the announcement of an HD remake of Majora’s Mask coming out for the 3DS, due in spring of 2015. Fans have been asking for this one for a very long time, and given the Ocarina of Time 3DS remake released years ago, it has always seemed to be a matter of when instead of if. But that does not dilute the hype of most fans, and it was a great way of starting out the Direct. The next announcement was a more detailed look at Code Name: S.T.E.A.M., which was announced back at E3. It looks like a bizarre mixture of comic book style graphics, a steampunk world, XCOM-like gameplay, and a crazy cast of characters from across history and fiction, something akin of The League of Extraordinary Gentlemen. Confirmed characters include Tom Sawyer, the Cowardly Lion, and even Abe Lincoln, each with their own attack methods. This is another 3DS game due out in spring of 2015. Up next is Ultimate NES Remix, another 3DS game, due out on Dec. 5. This is the third version of Nintendo’s NES Remix series, taking classic games from the NES age, tweaking them a bit, and then bundling them in one package. This is the first time the series is coming to the 3DS, allowing players to have classic games on the go. The main announcement here is that early buyers will get the chance to get a free NES-style theme for their 3DS, regardless of whether they buy the digital or physical copy of the game. The next game is Captain Toad Treasure Tracker, with an all-new trailer. While there weren’t any major announcements with this one, they did announce that the game would have more than 70 stages, and would be available at retail and digital on Dec. 5, for the Wii U.
Here’s where the meat of the direct gets thick. Due out later this month, alongside Super Smash Bros. for Wii U, are the first batch of Amiibo figurines, and now it’s known how they will work in other games. In Mario Kart 8 for example, the Amiibo unlock new racing suits for the Mii characters, allowing players to dress up as their favorite Smash characters. So while Captain Falcon may not be getting his own character, you could easily make a Captain Falcon Mii and put him in the Blue Falcon kart, which is almost as good. Mario Kart 8 also got a new trailer for its upcoming DLC, due out on Nov. 13, just a little over a week away. The trailer revealed at least one Legend of Zelda stage, complete with rupees instead of coins, as well as an Excitebike stage. Amiibo will also be compatible with Hyrule Warriors, unlocking a randomly selected item or rupee in the game. Other titles using Amiibo include Captain Toad Treasure Tracker, Mario Party 10, and Kirby and the Rainbow Curse, but it wasn’t announced exactly how. In regards to Kirby and the Rainbow Curse, Nintendo announced a new multiplayer mode, allowing other players to play as Waddle-Dees. The Waddle-Dees are able to pick up Kirby and carry him to the goal, allowing the Gamepad player to focus on drawing lines instead of directing Kirby. The game is due for release in February. Despite having a giant Super Smash Bros. themed Nintendo Direct just a few weeks ago, it doesn’t seem like the announcements are going to stop. 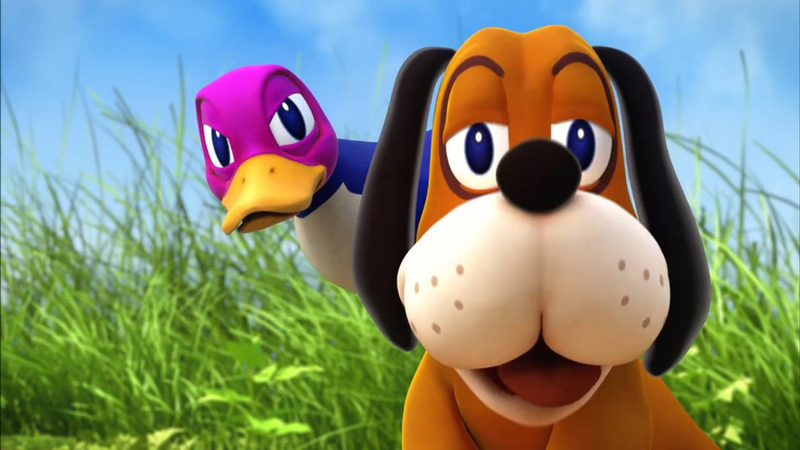 This time a new Duck Hunt stage was announced, as well as the apparent ability to use a gun accessory to shoot other players when playing as Duck Hunt. No details were given other than what was in the trailer, so hopefully Nintendo explains this one in the near future. The original Duck Hunt game was announced to be coming to the virtual console as well, so retro fans can be pleased. The next bit of news is a bit on the weirder side. After reaffirming their dedication to third-party developers, Nintendo shared a trailer for Monster Hunter 4 Ultimate, featuring two bipedal rat creatures with hammers wearing Mario and Luigi outfits. It is unclear whether these will be bonus costumes or DLC for the game. The only thing currently known is that absolutely no one was expecting that announcement. While not a game announcement, this next bit of news is still exciting for fans of the Pikmin series. Originally screened at the Tokyo Game Show, three 20-minute long short movies in the Pikmin universe are now available to download on both the Wii U and the 3DS. Along with this news, Nintendo also announced a demo version of Pikmin 3 is now available. And should players decide to buy the game, their save files will be transferred over to the full game. The last announcement from this Nintendo Direct gave more details on one of Nintendo’s biggest E3 titles, Splatoon. Originally announced to be a multiplayer game, it was revealed today that the game will also include a single player campaign, pitting you, the squids, versus the enemy octopi. The game is set to release in the second quarter of 2015. What do you think of all of the announcements? Isn’t it about time we got a ‘Majora’s Mask remake’? ‘Splatoon’ has single player?! Let us know what you think in the comments below.